Perfect for bathroom and sink: Pack of 3 rectangular soap cases with size of 5.7" x 3.5" x 1.0", large enough for any size soap bar, and the slotted grille is high enough that soap does not sit in water and get mushy, extends the life of your soap. Ideal to store toiletries, soap and sponge. 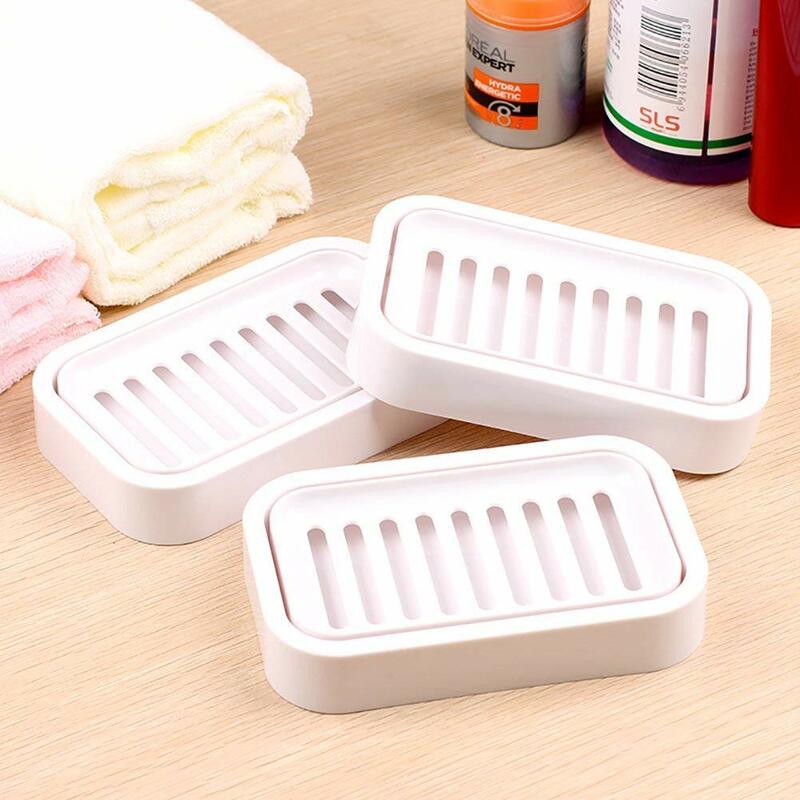 Durable plastic soap box: no any bad smell, low aging, low fading, strong and durable, even when dropped, they don't break or crack like the cheap plastic ones you can get from dollar stores. Maximizes the life of your soap: Due-layer and slotted design can exactly let soap drain and dry naturally, which will preserve the life of your luxury soap. And the underneath container will keep back the water, no leakage onto the surface beneath it, keep your sink surface dry. Non-Toxic and easy to clean: Our soap holder is zero volatile organic compounds (VOCs), which is important these days with an increasing number of people having allergies and sensitivities, the top container is removable, easy to take it apart to clean. Our soap dish is not just a soap container but a health saver too. Satisfaction Guarantee: If you are not satisfied with our product, you can ask for change or refund. We promise to give you best service.